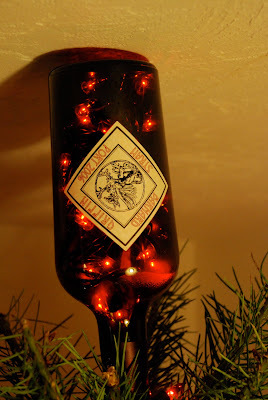 We wanted to do a quick interlude to our lineup of riveting, arm-gripping content to share with you a little bit of the holiday flair in The Oregon Wine Blog's home office. You can see more of our Festivus / Christmas / Chanukah / Non-Denominational Winter Holiday decorations on our flickr stream. The next non-traditional wine in our ongoing series of non-traditional wines of the Northwest is a Sangiovese. As with all wines from this series, all wines were sent to us complimentary from wineries that wish to showcase their work. Like the rest of our non-traditional varietal reviews, we have consulted the experts at Wikipedia for the following fun facts. Sangiovese is an Italian variety that is best known as the main component of Chianti. "Young Sangiovese has fresh fruity flavors of strawberry and a little spiciness, but it readily takes on oaky flavors when aged in barrels." "In Washington State, winemakers are seeking out locations that can highlight the varietal character of Sangiovese. These young plantings in areas such as Walla Walla and Yakima Valley have so far produced wines with a spicy and tart cherry flavors, anise, red currants, and tobacco leaf notes. Other areas in the United States with sizable plantings of Sangiovese include the Rogue Valley in Oregon, the Monticello in Virginia and Texas Hill Country in Texas. In Canada, there are some plantings of Sangiovese on the Niagara Peninsula." We don't mean to sound like a broken record, but once again our good friends from Pend d'Orielle Winery in Sandpoint, Idaho came through by suppling us with our only review bottle of Sangiovese. Their 2005 Sangiovese Terrior Series is supplied by 100% Kestrel Vineyard grapes in the Yakima Valley. At 186 cases produced, this reserve series wine is one that won't be around for very long. Upon pouring this wine, the first hues one notices is a big presence of cranberry, a little bit of boisenberry, and a hint of earthiness. After reading the publicized tasting notes, it appears what we picked up as cranberry was supposed to be pomegranate. Either way, one can expect tart red fruit coming through. After tasting, our senses of smell came through in a very accurate way. Big tannins hit the palate with a very welcoming levels of tart and fruit on the finish. This wine would be perfect for food pairing with a red meat pasta or a big juicy steak, but also also holds its own if not paired. More simplistically, consider this mellower than most cabs from the region if that helps. All things considered, this is yet another phenomenal wine from Pend d'Orielle. As a bit of editorial commentary, I'd also like to point out that Pend d'Orielle has been an incredibly delightful surprise. I don't think any of us at The Oregon Wine Blog expected to be blown away by Idaho wine, but winemaker Steve Meyer has proven us pleasantly wrong. That's not meant to say that Idaho isn't capable of producing great wine either, however, more to point out how relatively young the state is when it comes to world-class wine making. Looks like we'll have to find an opportunity to make it out to Sandpoint. Kurt Johnson invited me to Ward Johnson Winery for their release party on November 21st, where they released their 2007 Syrah, Merlot, Cabernet and 2008 Counterbalance Chardonnay. The winery, run by brothers Kurt and Charlie Johnson is in an atypical location, between Magnolia and Queen Anne nearly under the Magnolia Bridge. They’ve been there about a year and a half now, and the location works quite well to back up their description of themselves as an urban family winery. The site is very welcoming and everyone goes out of their way to make you feel that you're part of the family. Kurt invited me to belly up to the bar and as he poured he introduced me to members of the wine club who came and went throughout the evening. Kurt and Charlie knew everyone by name and they talked about little league coaches and where people were going for the holidays. Sitting there, the tasting room had such a homey, small-town feel that it was easy to forget that I was in Seattle and not Yakima or Sunnyside. The wine club members and regulars I spoke to talked about the personal relationship they felt to the winery and the Johnson brothers, the lack of pretension, and the fact that – when it came right down to it – we were drinking very good wine. The Counterbalance Chardonnay ($20) that Kurt started me with is from the Sun River Vineyard (Columbia Valley). The Chardonnay is named after the old Queen Anne counterbalance, which was decommissioned in 1940. This wine is fermented in stainless steel and spends 8 months in neutral oak. It's a very crisp chardonnay, with a light color, and a fruity nose with bright minerality on the palate and a clean, crisp mouthfeel. Many of the guests I spoke with talked about how much they liked it; even those who didn't consider themselves "Chardonnay people." The next wine was the 2007 Merlot ($30), from the North Block of the Hedges vineyard. My first impression was surprise: was a bit lighter and brighter in the glass than I expected. On the nose, there were cherries and a bit of tobacco, which was intoxicating. It tasted of dark and red berries with very well balanced tannins. The 2007 Cabernet Sauvignon ($30) was a departure from their ‘06 (I was told) which was 100% Cab Sauv. The ‘07 incarnation was sourced from the Red Mountain AVA and blended with 10% Cabernet Franc for a very promising wine. As Charlie poured my Cabernet he told me that it had just recently gone into the bottle. The Cabernet was a dark ruby color with an excellent tannic structure, a peppery nose, and dark herbal and spicy notes on the palate. The last wine I drank was the Ward Johnson Syrah ($30). Sourced from the Ranch at the End of the Road Vineyard, this wine is a visual masterpiece in the glass with a beautiful dark ruby color that promises good things to come. The nose on this wine is incredible, and the taste was classically well made Washington Syrah; peppery, intensely smooth, and well-balanced. Charlie poured the ‘06 for me so I could compare and I was surprised to find that I preferred the balance found in the ‘07. I had a great time talking with Kurt and Charlie and meeting Dierdre, their sister. They're a friendly bunch with a great space and well made wines, and I will definitely be going back. If you're in Seattle I recommend you swing by Ward Johnson for some quality wine and first rate conversation. Over the summer the Corvallis office of The Oregon Wine Blog combined cycling and wine to bring you the Tour De Vino. Now it's Autumn in the Pacific Northwest and for me, that means its cyclocross season. I asked myself if was possible to combine two of my favorite things: cyclocross and wine tasting. I even (briefly) considered installing 40cm barriers between the wine and the party guests, though I decided not to as it would leave serious marks in the hardwood. Similarly, I dismissed the idea of bringing mud or a sand feature into the house due to prohibitively unpleasant cleanup. Instead I decided to fashion the tasting after Cross Clash. 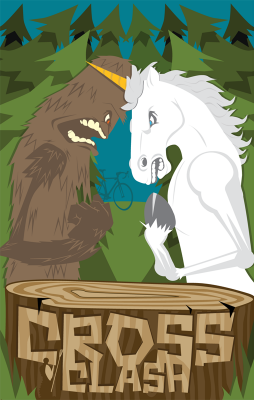 Cross Clash is the annual battle between the two Northwest cyclocross powerhouses: Seattle meets Portland, Sasquatch versus the Unicorn, Washington against Oregon. I have no idea why a unicorn Portland is represented by a unicorn. If you have insight, please share in the comments. To have a little more fun and to ensure fair play, we decided to do the tasting blind. In Cross Clash scoring is based on the order the racers finish, with their state receiving their points. The higher the finish, the higher the points. The points are added together to determine the winning state. Prior to our ‘race’ it was clear there was some serious provincialism going on. Calls of "Hey, how's it feel to pay sales tax, loser?" and "You guys don't know how to pump your own gas?" were commonplace. This vitriol left me with doubts about objective judging the wines and reinforced the decision to do the tasting blind. Gwynne set up a score sheet for each participant; they subjectively scored the wines based strictly on what they liked. They were asked to consider the palate, color and nose of the wine and give them a number score. The scores were totaled and a winner was declared. It came out Washington, in an echo of the Cross Clash outcome. But wait, there was a catch. Anyone who has raced will tell you there is always a sandbagger. A "sandbagger" is a racer who has shown up looking for an easy victory. Like a pool hustler, the sandbagger is racing against guys that's he's guaranteed to beat, because the sandbagger hasn't upgrade his race category. He's often a Cat 3 racer riding against the 4s. We definitely had a Cat 2 racer mixing it up with the 3s and it came out in the results. The consensus winner was the Buty Columbia Rediviva 2006 ($48), a delicious blend of cabernet and syrah. This wine was smoother than all the others, and had a structure and finish that belied the sandbagger it was. It was clearly in a class of its own. Let me say that if you haven't had any of the Buty wines, what are you waiting for? This is their top dog, and it shows. Three years in the cellar before release has turned out an incredible wine. While there was a clear winner, no one was lapped. The other wines were able to hang with our "cheater." While there was some debate, the next two favorites were Bookwalter’s Subplot 23 and Seven Hill’s Merlot. Gwynne and I picked up the J. Bookwalter Subplot #23 ($20) at the Woodinville tasting room, and it's an amazing wine. The lighter spice on the palate and the cherry and wood nose are very enjoyable, and Gwynne was captivated by the taste of butterscotch in a red wine. Close on its heels was the Seven Hills Merlot, Columbia Valley ($20). With tones of oak and rounded spices, this wine had one of the favorite noses of the evening. From Oregon, we had two Pinots that fared well. next: ($18) a wine made by King Estates, was very smooth, though it didn't initially show complexity. The wine had a great balance, and was unanimously described as "a wine I could drink all day," which was the goal when King Estates made it. We were all a bit perplexed by the label, and I found the silly quote on the back a bit over the top. The Sharecropper's Pinot Noir, from Owen Roe ($24) was more nuanced than next: and showed some of the craftsmanship of those master Oregonians. Another everyday drinking pinot that had hints of red and black fruits. The wildcard of the evening was the 2003 Marachel Foche from August Cellars. This wine is a wild one, and has been a favorite of ours, and a reason to visit the folks at August Cellars almost annually. The Foche had the most pronounced nose of the evening, which everyone found intriguing, but many folks weren't up for the palate of forest floor, mushrooms, and wild, wild fruit. So this year's Cross Clash winner was also this year's Cork Clash winner. But there was foul play afoot. We're doing it again next Autumn, giving Oregon a shot at revenge. Send your recommendations or have your own Cork Clash. While you’re at it, be sure to check out a cyclocross race near you, the US Gran Prix of Cyclocross will be in Portland on December 5th and 6th. Are you looking for something to do this weekend...or between 10:00 AM - 7:00 PM, seven days per week, at any point in the future? We're pleased to share with you the latest development of one of our very favorite wineries, Willamette Valley Vineyards: The Willamette Valley Wine Center in McMinnville, Oregon. Before we get into the port and truffles of the post, I'l get the logistics out of the way now. The grand opening is taking place this weekend, November 21 - 22, at the center which is located at 300 NE Third Street in McMinnville. The center, developed by the dynamic center director Meg Murray under the leadership of winery founder Jim Bernau, intends to serve as an informational hub for the Willamette Valley wine community. “We look forward to spreading the gospel of Oregon Pinot Noir through collaboration with our fellow winemakers,” said Bernau. “Our industry has a long history of collaborative and innovative efforts as well as a strong commitment to sustainable practices that have been put in place to assure a tasty tomorrow.” Featuring concierge staff members focusing on the industry in general, the center's strong focus on sustainability and education seeks to increase tourism to McMinnville and the region. The trade opening featured 10 Willamette Valley Vineyards wine offerings, paired with noshery from local restaurants including The Joel Palmer House, The Dundee Bistro, and Farm to Fork. Our favorite wine from the evening was the 2007 Signature Cuvee, and food wise we dug the Rib Slayer Oregon Lamb Meatballs. The place was packed, according to Meg they were expecting 450 industry folks that evening. As a result, we decided to make the utilitarian decision to do the tasting in reverse order - starting with the Quinta Reserve Pinot Noir Port Style wine. This decision was quickly affirmed by Jim Bernau, who commented that the port "certainly has a lot of alcohol" while being delicious. On a normal day, the wine center will offer three tastings: a complimentary WVV tasting, a reserve WVV tasting, and a comparative tasting featuring other vineyards and wineries from the region. We're struck by the confidence WVV has in offering other producers wares in their center. So...where does that leave us? We had a wonderful experience Thursday night and trust you will too. I know it's Saturday (or some point in the future), but get off your duff and head to McMinnville. Meg and her staff will take good care of you and you won't be disappointed! 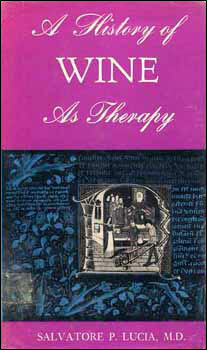 A History of Wine As Therapy is a book written by Dr. Salvatore P. Lucia that, as the title says, is a historical account of wine used as medicine. Why did I pick this book up and write a review about it? In short, I was interested to see if ancient civilizations saw wine as a panacea as I do. What can't wine cure? Well, aside from hangovers...and maybe head lice. Anyway, it cures a lot! This book also happened to be only $5 from my local used book store. The price probably had something to do with the fact that it was written in 1963. Anyway, onto the review! I should have pointed out that one caveat listed early in the book is that medical doctors as we know then didn't really exist. Instead, folks claiming mystical powers would concoct stuff like donkey placenta and wine to cure alcoholism in an order to make a quick buck. It's also important to point out that many of these mystical-sounding ingredients were picked solely out of their scarcity. I don't know if I'd feel comfortable seeing Dr. Asclepiades, but I like his style. In short, giving wine to a child will turn them into a pee machine. I should point out again that this book goes over many ancient civilizations and references wine in countless ancient texts. While I've mostly gone over some of the more ridiculous examples, there are surprisingly a lot of very accurate observations of what wine can be used for (wound dressing, pain killer) and cannot (cure alcoholism). It's definitely the most unique account on wine I have ever read and would highly recommend picking up a copy if you're a nerd like me. It's pretty dry, but Dr. Rick would suggest three glasses of wine to cure dryness and boredom. The second annual Wine Rocks Seattle took place on November 12th; it was an event that brought together a lot of what Seattle and Washington do well. Music, wine and food made the night a perfect party. The event was sold out, so the folks at The Oregon Wine Blog certainly appreciated the media credentials to get in and see what the fuss was all about. There were 20 wineries pouring, most of them pouring two or three different wines (there was one brandy from El Chalán, which was very tasty). The Palace Ballroom was packed to the gills and the joint was jumping, which was particularly gratifying given that the event benefited PEPS, the Program for Early Parent Support. Gwynne, my lovely photographer, assistant, and wife, and I decided to attack the room in a counter clockwise maneuver. This strategy didn’t necessarily last very long, and we found ourselves wandering from table to table. It was obvious that everyone was in a great mood: the winemakers or their representatives were all very friendly, and more than eager to talk wine and music. By the time we had arrived the first act was already on stage and it was none other than Boudreaux Cellars’ Rob Newsome. Rob (originally from Louisiana) was rocking out some blue grass sounds. Both of the wines that Darren was pouring, San Remo and The Duke, were quite good. San Remo (2007) was a 100% Sangiovese from Ciel du Cheval that was excellent and zesty, and would be a fantastic addition to any dinner party. As good as that was, Gwynne and I both really liked The Duke (2007)($28) even more. A 60% Zinfandel blend with Lemberger and Petit Sirah (13% each), Cab Franc (10%), and a tiny bit of Syrah. This was a fascinating wine. It had dark herbal and fruit notes, and a peppery finish. Des Voigne makes very small lots; there were only 239 cases of The Duke made. Darren was eager to talk about his wines, and told us to come on by the tasting room out in Woodinville. As a fun bonus, they have great labels made to look like old school jazz concert posters. Boudreaux Cellars are known for Cabernet ($52). The 2005 Cab was pure velvet in the glass. The wine was incredibly smooth and balanced with subtle notes of chocolate and cherries. This is a big wine that drinks well now and will only get better with age. Boudreaux’s wines are made in small lots in Rob Newsome’s Leavenworth winery. I think I probably threw Rob for a loop when I asked him not about his wine, but Steven Seagal. I learned from the Boudreaux website that Seagal had filmed On Deadly Ground at Newsome’s Icicle Creek Canyon home. Rob makes very fine wines that warrant their price tag. Probably Gwynne’s favorite wine of the evening, and one of mine as well, was the Shackled Red Wine ($35), a Rhone style blend of Syrah and Mourvedre. The wine was complex with an earthy and smoky nose. The licorice stood out on the palate, accompanied by a hint of berries. Cuillin Hills is another Woodinville winery, known for their Dungeon Syrah ($29) which sells out all the time (if you lay your hands on some, send me an email). We tasted a lot of Cabernet that evening (Thank you, Washington!) and two really stood out, Boudreaux and Donedei. Donedei is one of just a few wineries located down near Olympia. The winemaker, Carolyn Lakewold, was not in attendance but was very well represented by Monika from Kelnan Wine Management. Donedei doesn’t fine or filter this Cabernet. This is a smooth wine, with very well balanced tannins and great black cherry and berry accents; definitely deserving of the accolades it consistently gets. This wine will definitely find its way into our rotation. Monika also mentioned a new wine project in Washington, Grand Rêve, that brings together the best grapes and the best winemakers in Washington. I will definitely be bringing you more information on Grand Rêve in the near future. The food line was prohibitive for the first hour or so, but once the line cleared out, Gwynne and I moved in. Tom Douglas catering hit a home run with the Barnyard Meatballs, easily the best meatball I’ve ever had, some freshly griddled pita with three different tapenades, and two dessert options, including a triple coconut cream tartlet that was out of this world. This was a great event, so make sure you put the 3rd annual Wine Rocks Seattle on your calendar for next fall. Regular readers of The Oregon Wine Blog may have noticed that it's been quite some time since I last posted. I assure you that I neither lost my passion for wine nor forgot my OWB login and password. Instead, I have actually spent the last couple weeks on a work-related trip to Indonesia. While I would love to be able to say I spent the majority of my time on the beach, I must admit there was actually very little time for recreation. One thing I did do, however, was pick up a bottle of Indonesian wine. Wine? From Indonesia? Yes! I have to admit that the main reason I picked it up was because I told Josh (completely jokingly) that I'd pick up a bottle of wine while away. It turns out I had to cash in on my request as I found this bottle in the airport in Bali. 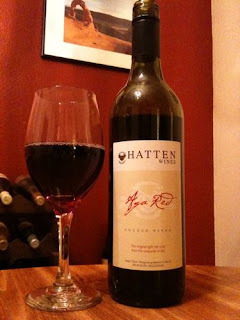 Hatten Winery & Vineyard has been producing wine in Northeastern Bali for the last 14 years. Unlike wines of the Pacific Northwest, the vines in Bali create grapes year-round in 120 day cycles. You won't find any big reds from Bali, but definitely some whites and other sweeter varieties. I picked up their AVA Red, which is described as "a young light red wine made from the local Alphonse-Lavallée grapes. This medium bodied wine is often associated with the genre Beaujolais-Nouveau." Also recommended is to serve it chilled. I'm going to be completely honest in that any requests of red wines to be serve chilled automatically makes me think of Night Train. While I'm a bit scared, it's time to dive in. Appearance: Immediately noticeable is that this wine pours pink. Granted it's a dark pink, but pink none the less. Think a dark Rosé. Very low viscosity with virtually no lace. Smell: Light cherry notes with heavy sugar backing. This has also been described as "cheap" and "medicinal". Taste: Boxed. It tastes like boxed wine. There's no other way to describe it. Find a box of wine with red on it and there you go. In more helpful terms, it's pretty close to a white zin or a blush. In the end, I'm actually quite glad I found a bottle of Indonesian wine. It may have been completely underwhelming and against our general policy of not reviewing bad wine, but I think the educational message here is that you can actually grow and produce wine on an equatorial island. 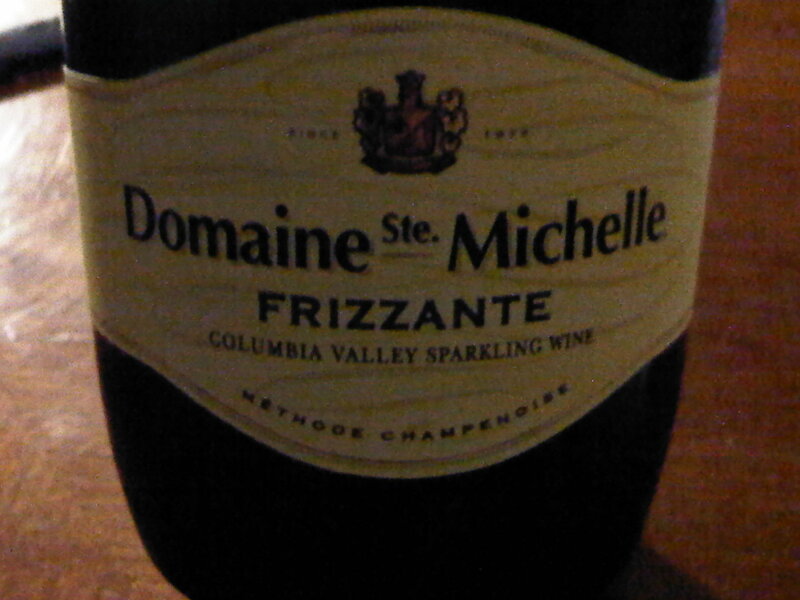 In retrospect, it would have made much more sense to stick with a white or a sparkling wine. Would I try another Balinese wine in the future? Sure! Would I choose AGA Red over any NW wine? Not by a long shot. 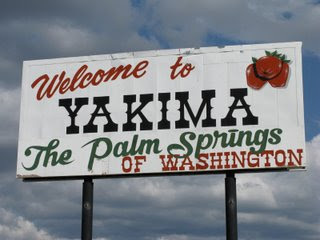 When I say the Palm Springs of Washington, many of you know of course that I'm talking about an oasis in the desert of the Columbia Valley -- Yakima! The first AVA created in the State of Washington in 1983, the Yakima Valley AVA produces not only 40% of Washington's wine grapes but also 80% of the nation's production of hops and a cornucopia of other fruits and produce. About a month ago, I had the opportunity to revisit Yakima after nearly a 10-year hiatus. You see, I spent my formative years in the Tri-Cities...but left before wine was a "big deal" in the area and in fact before I was able to legally enjoy the fruits of the vineyard's labor. I had been to Yakima dozens of times, but never had embraced the culinary and wine scene in the area. 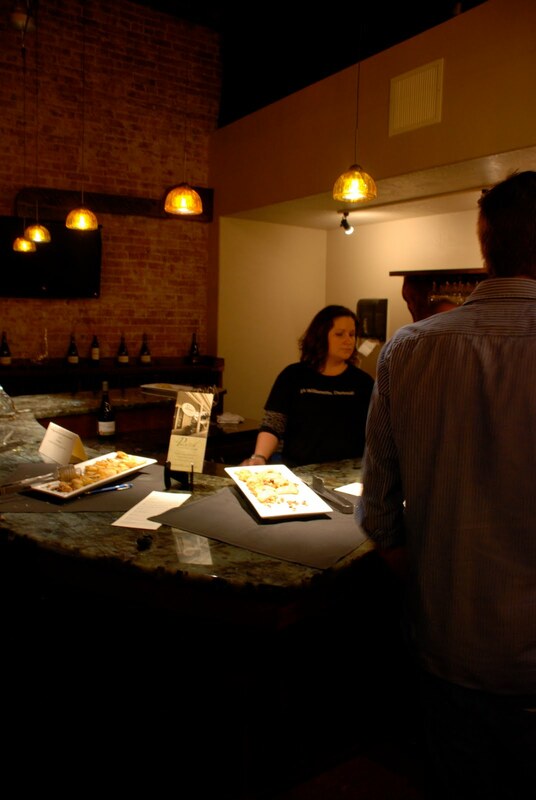 Gilbert Cellars: Boasting a trendy yet comfortable tasting room with a selection of food and music on weekends, Gilbert Cellars exemplifies its family story through the at-home feel of the facility and kindness of the staff. While there, I was lucky enough to spend some time with Sean Gilbert, the brains behind the operation. Turns out, Sean and I graduated from rival high schools the same year. He shared some of his passion for wine, and of course, shared some tastes in the process. I walked away with a bottle of the 2006 Allobroges (60% Syrah, 22% Grenache, and 18% Mourvedre) and a 2006 Estate Syrah. Those were probably my favorites, but I enjoyed every wine I tasted. Kana Winery: Just down the street from Gilbert Cellars, Kana was packed when I walked through the door. Turns out, a large tour group was in the area and Kana was one of their first stops. Despite having nearly a line out the door, the service I got made me feel like the only customer and as the wine tasting commenced, it became evident that Kana sources from some outstanding vineyards. One notable wine that I purchased while there was the 2007 Masterpiece (62% Viognier, 26% Roussanne, 12% Marsanne), one of the most complex whites I've experienced. I also got a Ciel du Cheval Red blend; I'm a sucker for anything from that vineyard. The wine experiences were two for two in excellence, and I'd highly recommend both as destinations next time you are in the area. I was pretty buzzed by that point in the evening, and unfortunately, my dinner experience was frankly disappointing after great wine. Katie with Wine Yakima Valley as well as Sean at Gilbert provided probably what were some great suggestions, and being me, I threw that advice out the window when I met a server from Carousel French Cuisine who asked me to come to dinner there. I checked out their menu and saw some potentially delicious selections, so off I went. I ordered duck and a glass of wine, and while the service was great, the food left a lot to be desired. The duck was done in a style that didn't resonate with me, and to my horror the side dish was very obviously a frozen vegetable medley. A $30/plate order of duck in the middle of agriculture country, and they were serving frozen vegetables. I was a little horrified. All in all, it was a great (albiet short) trip to Yakima. Fortunately, Rick, Clive, and myself will be back in February for a little bit longer and Gilbert and Kana will definitely be on the list. We'll plan on broadening out a bit, too, and getting away from downtown. Santiago's is also on the list, I've heard their mole is to die for. So, with that...what's your favorite Yakima Valley winery? Wine Rocks Seattle has invited The Oregon Wine Blog to come out on November 12th to attend the 2nd Annual Wine Rocks Seattle event. Wine Rocks Seattle is an event that celebrates Washington's unique position the worlds of both wine and music. Washington winemakers and musicians will be coming together to give the audience an opportunity to appreciate their talents on stage and out of the bottle. Beecher's amazing cheeses and food provided by Tom Douglas catering round out the event. The evening sounds like one not to miss. I hope to see you there! Wine Rocks Seattle benefits the Program for Early Parent Support. You may have noticed last week The Oregon Wine Blog offered two tickets to the Southern Oregon Grand Tasting in Portland, Oregon to the first reader that contacted us. We had some fun with the promotion and look to do some more promotions for you in the future...so keep your eyes peeled. Ryan Sharp was the lucky winner - and in payment for his prize we asked that he send a review of the event back for posting. Behold, the first guest blogger post on the blog. Ryan is a blogger out of the Portland area, who shares with us some great insight on this event. Thanks, Ryan! Last Sunday was the perfect day for tasting the wines of Southern Oregon. The rain let up for a bit, making the crossing of the river from SE to SW beautiful and clear. It's a wonderful thing to taste wine from southern Oregon...and even more wonderful when it's brought to my town. We entered the Governor Hotel and quickly assessed that we were the only 2 people under age 40. Not that there's anything wrong with people 40 and over, but I am constantly amazed at the lack of under-40-ers that show up to these things. All my friends drink wine, and they're mostly in their 20s and 30s. Hmm. We picked up the tasting guide, surveyed the room, and chose the wineries we'd taste from. It seemed that spending time with just a handful of the wineries present allowed us to actually hear a bit about the different winemaking decisions, vineyard practices, and visions for each bottle of wine poured. It was enlightening. And discouraging. All at the same time. Parts of southern Oregon seem quite suitable for Rhone varietals, so many folks had planted Syrah and Viognier. One winery had also planted Marsanne and Rousanne. There were the usual suspects as well...Pinot Noir, Pinot Gris, Cabernet Sauvignon, Chardonnay, and Tempranillo. And there were some slightly more obscure varietals like Petit Sirah (obscure for Oregon), Cab Franc, Albariño, and Dolcetto. Misty Oaks '07 Cabernet Franc was a solid and inky. They were pouring it, but not selling it. D'oh! Agate Ridge served up a nice, smoky '06 Syrah. It had a very sweet nose, perhaps from the barrel. Nice medium body and delicate finish. Their whites (Viognier and Marsanne/Rousanne) were reminiscent of the buttery Chardonnays that I don't particularly care for. It probably had a bit to do their barrel-fermentation and the grapes general lack of acid. Folin Cellars poured out of bottles with glass stoppers. 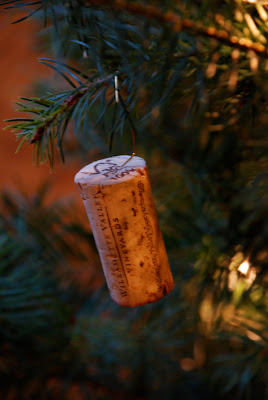 It was fun to get an earful about cork taint! Their '06 Estate Tempranillo was yummy. Nice structure, tons of tannis to stick to your teeth, not as acidic as many Tempranillos. I bet you could cellar this for a few years and find yourself with a gem of a wine! The '04 Pinot Noir from Henry Estate Winery was dead-on cherry cola. A little vanilla and black pepper as well. Probably our favorite Pinot for the event. The years in the bottle had really allowed the wine to soften and settle. Quite a treat at $30! Spangler Vineyard's Petit Sirah is always solid. The '06 (which they were out of) blew us away in the past. It was nice to get acquainted with their '07. Lots of white pepper and a surprising amount of fruit for this varietal. The Dolcetto from Palotai Vineyard & Winery was light and spicy. I bet it'll be a hot commodity for Thanksgiving this year. Pebblestone Cellars seemed to be the only winery represented using Viognier in their Syrah. The co-ferment the dark Syrah with about 3% Viognier to make the color even richer. The complexity of the color compounds increases when these ferment together. This is an old French secret. But the big surprise was the Giradet Wine Cellars' Baco Noir. Never heard of it? Neither had we. Full of bacon fat (hold the grease) and blueberry jam, with a long, chocolaty finish, this was my wine of choice. Apparently they smuggled this hybrid grape in years back. And they seem to be the only vineyard growing it in Oregon. All in all, it was a fun time. I'm excited to see how these wineries and vineyards continue to evolve and experiment. I remember one winemaker saying, "Yah, we tried this or that idea a few years back and then tweaked it the following year." I like hearing stuff like that. People who are still up for some risk-taking, even if it means creating something less-than for one vintage. It keeps things interesting! Epitomizing the spirit of both The Oregon Wine Blog and our series on non-traditional wines of the Northwest, we decided to do our tasting of Malbec in a unconventional fashion - at least when it comes to the classical method of reviewing wine. That's right, we paired the tasting with our Halloween party, and invited our rag-tag group of friends and fellow bloggers to participate. After all, most of you aren't professional wine drinkers, so why would you want to read reviews from them? Who are we kidding anyway? Before we dive in to the Malbec, I have three disclosures to make: I'm half a bottle of Lemberger in as I write this post, we tasted 6 different Malbec's in one sitting [and we don't believe in spitting, unless of course, we're driving], and all the wine was supplied by the wineries. So, take it for what it's worth! Wikipedia, being the bastion of all that is known in the universe, has once again served as our trusty reference as we explore the wonders of Malbec. One of the six grapes allowed in the blend of Bordeaux wine, Malbec is an inky dark grape with robust tannins, found primarily in the Southwest region of France. A think skinned grape, the fruit needs more sunlight than Cab or Merlot to mature, fitting for Eastern Washington or Southern Oregon. Malbec has traditionally been used in making Claret, it was a significant variety in California prior to the prohibition used in blended bulk production wine. After the prohibition, Malbec became popular in Meritage blends and US production has increased seven-fold in the last 20 years. Seven Hills Winery planted the first Malbec vines in Washington in the late 90's, and a number of Washington and Oregon wineries have been experimenting with 100% varietals in the last 10 years, primarily in the Columbia Valley and Walla Walla AVA's. As I mentioned, we combined the Malbec tasting with our Halloween party. As a result, a number of our closest friends provided tasting notes that contributed to this post. Free wine, right? The methodology was simple -- Rick and I tasted through all 6 samples prior to the party to get some baseline reviews, and then we provided the bottles to our guests to drink throughout the night, only asking that they jot some notes down on each wine they tasted for our review. Scientific...not so much, but we got some unique and varied perspectives that reflect the diversity and tastes of each individual. Thanks to Drew, Micheal, Chris, Kathryn, Gordon, Andrea, Craig, Megan, and Zack for joining us! Dusted Valley: This was my personal favorite. We found a jammy, fruity nose with raspberries and cherries quite prominent. The taste built on the nose and added some cranberry with a bit of tartness on the finish. This was a very refreshing wine and didn't require a food pairing to be successful - although would do well with pasta. One of our guests picked up some leather and black pepper on the nose, although I didn't see it. I definitely drank my fair share of the Dusted Valley and I'd suggest picking up a bottle for any time drinking if you can get your hands on one. At $35 per bottle, I believe it is only available to wine club members. Pend d'Orielle: Our only Idaho wine in this flight, it was a pleasant surprise (although shouldn't have been a surprise based on our previous experience with PO Wine). With a prominent nose of rose petals, some red fruit, and licorice, we picked up cocoa in the flavor profile with a pomegranate finish. This was an extremely drinkable wine in which some of our guests noted hints of leather, berry, and a bit of sweetness. With a price point of $29 per bottle, this is highly recommended. The other four were well received by various members of our tasting panel. One interesting note was the prominent leather on the Maryhill offering. It definitely wasn't as off-putting as it was on the Barbera; it seems that leather is a feature of the Maryhill Gunkle vineyard. Flavors of raspberry and cranberry seemed to stay constant throughout, and we noted some differences between AVA's in the smoothness of the wines. So there you have it -- Malbec and Halloween, The Oregon Wine Blog style. Stay tuned for the continuation of this series, some book reviews, a feature on the Southern Oregon wine tasting event from a guest blogger, and some Yakima Valley coverage. What were you drinking on Halloween?